Balu: I have done my B.Tech in ECE stream and scored 71%. I want to be an expert in either development or as a support engineer. Then I would want to showcase my talent and achieve top level in the same. Balu: As soon as I completed my B. Tech I didn’t know the next steps to get a job. 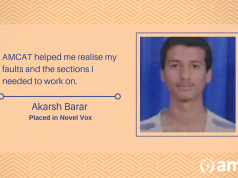 In my college days, I thought it would be easy to get placed but in reality job hunting was a nightmare for me. 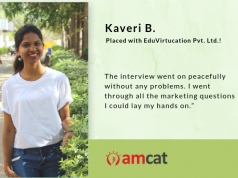 Aspiring Minds: Tell us about your experience post giving the AMCAT test and how AMCAT helped you in getting a job at Choose Portal Pvt Ltd? 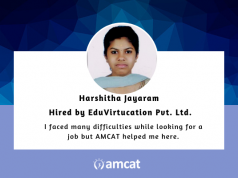 Balu: On my friend’s request I took AMCAT test. I scored well and then I got few calls from different companies. Some interviews went well, some didn’t. Then I got a call from Choose Portal Pvt. Ltd where I got placed after multiple interview sessions. Balu: Yes, absolutely. It is one of the best platforms to find a job and it also increases your chances of getting placed. Balu: What ever you have learnt in your life till now, it will be helpful in some way or the other in future. So, never feel sad about learning something which might not help you at present. Also try to be positive always.